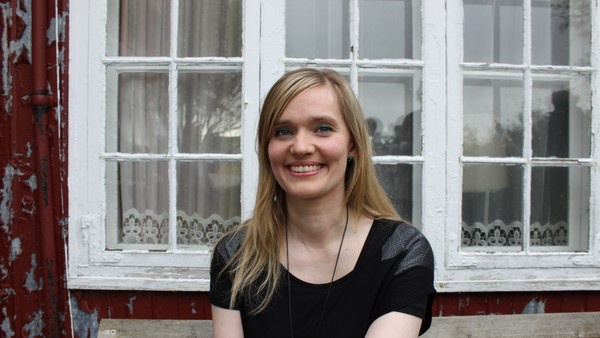 Winner of a Nordic contest arranged by Nordbok and the authors' associations with her debut book Mánalýsi. Nominated for the Nordic Council Children and Young People's Literature Prize in 2015. Elin á Rógvi lives in Tórshavn. She hosts a children's programme for Faroese national radio. Her debut novel Mánalýsi was published in 2007 and won the children's literature prize through the Nordic Literature and Library Committee. The book was published simultaneously in Danish, Greenlandic and Sami. Her most recent book, Og mamma! was published in 2014 and was nominated for the Nordic Council Children and Young People's Literature Prize 2015. The book Og mamma! is about the rooster Morgunfríði who is no ordinary rooster. The humorous cartoon-like illustrations by illustrator Marjun Reginsdóttir bring the texts to life for young readers and pre-readers.